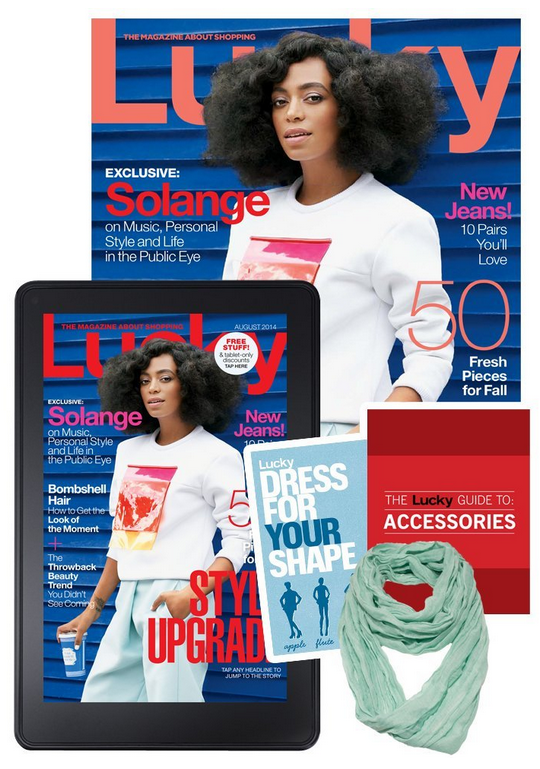 Lucky Magazine Subscription + FREE Infinity Scarf Only $3! You are here: Home / Great Deals / Amazon Deals / Lucky Magazine Subscription + FREE Infinity Scarf Only $3! You can get Lucky Magazine Subscription + FREE Infinity Scarf Only $3! That’s just 60 Cents and Issue! the magazine. You also get access to Lucy’s Digital guides. Plus, you get FREE shipping and a FREE infinity scarf! What a great deal!